With Google Reader on its way out, people have been scrambling to find alternatives to get their RSS fix. We’ve even come up with a list of solid alternatives to Google Reader Google Reader's End Is Nigh: Prepare With These Alternative RSS Readers Google Reader's End Is Nigh: Prepare With These Alternative RSS Readers Google Reader is dead. 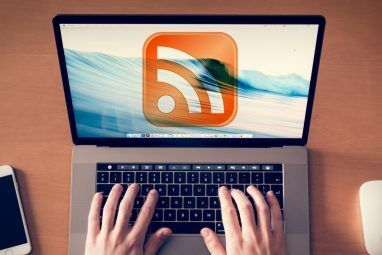 By July the Internet's premier RSS service is shutting down forever, leaving users to find a replacement on their own. If you're looking for an equivalent to Google these are just... Read More to make sure you aren’t left wondering where to go next. But what if you were to ditch the concept of RSS altogether? You could do that by opting instead to get your news and blog post fix using Twitter lists. Twitter lists are an awesome way to keep up with content from all over the Web and tweets from all over the world. Whether you’ve put the effort into creating some pretty well organized and handy lists, or want to depend on the countless lists out there created by Twitter’s millions of users – it’s up to you. Either way, plugging Twitter lists into third party services offer users an interesting way to keep up with a lot of varied content. Why Use Twitter Lists Instead Of RSS? Before looking at how Twitter lists can replace RSS readers, it’s worth asking the question, why are they a decent alternative? 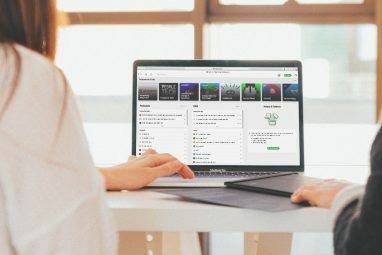 If you’re following a blog or site, you can get all of their content from their RSS feed, but if you follow the people who run those sites, you can get more personal, curated, and varied content. They’ll share not only their best work from their own sites, but other content they found interesting from other sites, so you open yourself up to new discoveries. If you’re going to take the long route of creating your own Twitter lists, you probably already know how clunky a process that is when you’re doing it directly within Twitter. Luckily, there are some third party services that make life a little easier when creating lists. Twitilist displays a grid of all the people you follow, and all the lists you’ve created and you can simply add people by dragging and dropping them to the list of your choice. You can also filter usernames using the in-built search to make it easier to find the tweep you’re looking for. The disadvantage to using Twitilist is that you can’t add people you don’t already follow, which kind of defeats the purpose. Another way to get your Twitter lists in shape is by using the iOS app, Twst. The slick app allows you not only to add users you already follow, but allows you to actively search for users and add them to your Twitter lists. Tweewer is the easiest way to harness the power of Twitter lists to create a personalized magazine of sorts. The service doesn’t require you to sign up – the only information you’ll need is the username of the tweep whose lists you want to plugin, and the name of the list. So for example, if you wanted to keep up with MakeUseOf’s staff, you could check out the MakeUseOf staff list [No Longer Available], aptly named ‘Staff’. Tweewer will then pull up all the tweets from users in that list, and will also give you a way to read the articles shared on Twitter right there in Tweewer. In our experience though, Tweewer didn’t play nice with all sites, MakeUseOf included, and does not allow you to preview photos. You can, however, simply follow the link and open it up in a new window. 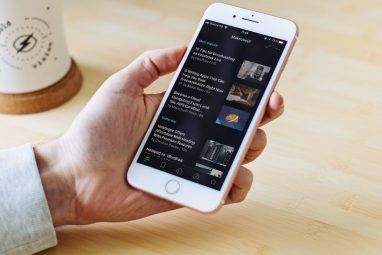 With multiplatform app Flipboard, available for iOS and Android, you can tap into Twitter lists and access them on the go with the slick app. Flipboard, for those of you who aren’t familiar with it, allows you to plug into a variety of sources, social networks, blogs and more, to create a personalized magazine based on your interests. To find out more about Flipboard be sure to check out our Flipboard for iPad review, and Flipboard for Android review Flipboard For Android Tablets Is Finally Here. Here's How It Works Flipboard For Android Tablets Is Finally Here. Here's How It Works The ultimate tablet magazine is ready for your Android. Long an iPad-only offering, Flipboard arrived for Android tablets in December – and I've barely put my tablet down since. With the ability to pull in... Read More . With Flipboard, the easiest way to keep up with interesting Twitter lists is to either create them yourself, or if you’d rather depend on other people’s lists, just be sure to follow that list on Twitter and it will appear in your Flipboard account, after you’ve connected it to your Twitter account. Can you think of more ways to use your Twitter lists as an alternative to Google Reader? Let us know in the comments. Explore more about: Feed Reader, Google Reader, RSS. So far I've found Feedly to be my replacement of choice. I actually like the magazine style layout better than Google Reader. However, this issue brings to light the problem with web based apps in general, especially ones that are free. There is no guarantee that the next time you get on the net that the app will still be there. A lot of companies are making their RSS feed and official Twitter account the same, so that's fine. I would love to replace Reader with Twitter, but to do that I need it to work in a list view and have a mark-as-read feature. Flipboard looks great and it would be awesome to go to one place to read news AND social network updates - but not without those two features. I might even be tempted away from list-based reading, but the OCD in me needs to know what I have read and be able to catch up if I don't have time to get online for a few days. Twitter can't replace it.140 is nothing. Twitter's 140 character limit ruins the summaries. It can't replace RSS, sorry. I agree that the summary can sometimes make a big difference encouraging you to read an article - more so than a title. But I still think you can get a sense of whether or not you're interested in reading on from a title. And any catchy title shouldn't need more than 140 characters to get the point across. Well, what I'm really disappointed by is constantly seeing, reading, and hearing every blogger, reporter, writer, host, etc. use the word "curated" like it's some kind of cure-all for what ails you. Thanks, but I can make up my own mind about what I want to read, watch, and generally make use of. Every time I encounter the word "curated" now, I just stop reading or listening and move on to something else. A combination of both isn't ever a bad thing. There are a lot of articles or sites that I would have missed out on if someone I follow on Twitter hadn't mentioned them. Curation is part and parcel of social media - I can't imagine how you avoid it if you're on any active social network. I avoid "social media" like the plague it is; they're all about "Look at me! Look at me!". I look for "reporting", not "curating".